Vegetables and fruit are full of essential vitamins, minerals and enzymes that your body needs, and because it’s in liquid form, your body can digest it quickly. Blending ‘pre digests’ the food for you by breaking down the cell walls, letting the nutrition go straight into your system. This is helpful if you have digestive issues. 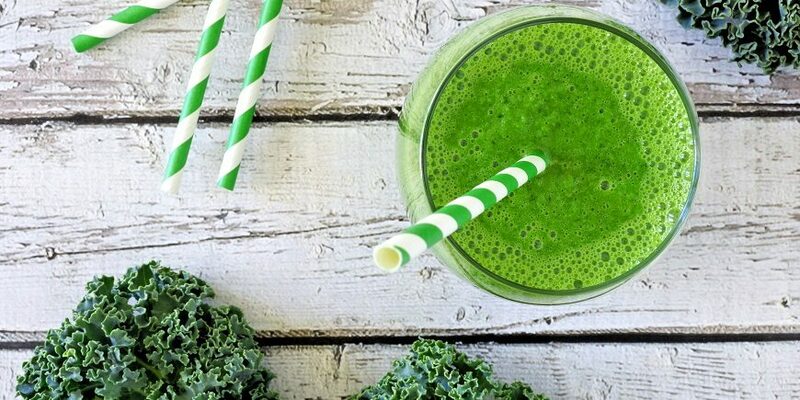 You may find it difficult to eat a packet of spinach or kale in a day, but blending will ensure that you pack a dense amount of nutrients into your green drink. There are enzymes contained in vegetables and by blending your will have a drink full of them. Enzymes help to release a build-up toxins, leaving your body much healthier by improving your detoxification system. While a juicer extracts the juice and leaves behind the pulp, a high-powered blender (Nutri bullet/ninja) will combine the juice and pulp into a thicker drink (my preferred method). The fibre in the blended drink will help you to feel full longer, which may help you to have fewer cravings. Juicing and blending can really ramp up your calorie and sugar intake when you use a lot of fruit. So be mindful of what you’re putting in your green drink… I suggest only using apples, pears and some berries and limiting each drink to 1-2 fruits and a small serving of each. Be adventurous and make your own with lots of different greens. Bases like apples and carrots add sweetness to the earthy taste of the blended green drink. Make use of spices and herbs – such as turmeric a natural and powerful anti-inflammatory – to get more punch, flavour and even more health benefits.